Taking fresh, locally grown ingredients and serving them to customers hungry for authentic, flavorful meals is the basis for the culinary farm-to-table movement, a concept that has been steadily gaining traction. Glenwood Hot Springs' Spa of the Rockies takes this concept in an innovative new direction by offering clients not just variety, but the ability to pick their own ingredients, just as they would if they were shopping at the neighborhood farmers' market. At Spa of the Rockies, the concept is known as farm-to-treatment-table spa services, and, like its food counterpart, it's a notion customers are finding refreshingly appealing. "In a crowded marketplace where many spas essentially offer the same or very similar services, the importance of developing a distinguished presence can't be overstated," said Jeremy Gilley, Sales and Revenue Manager for Spa of the Rockies and Glenwood Hot Springs in Glenwood Springs, Colorado. "Customers want an experience, one that targets their specific needs and preferences, not just a massage or a manicure." 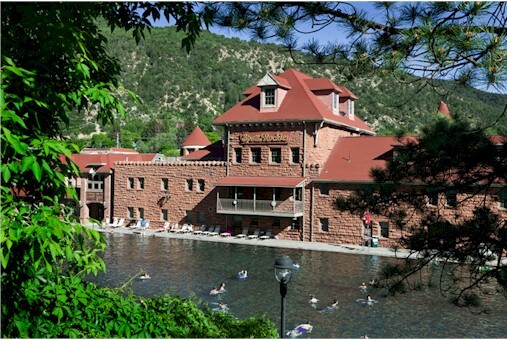 The experience begins when customers arrive at the castle-like, 125-year-old red sandstone bathhouse building where Spa of the Rockies is located. They are greeted by the sounds of gently cascading water, soft lighting and a serene color scheme of cool blues and warm browns, which combine to create an ambiance that sets the stage for relaxation. Juxtaposed with the historic surroundings, the spa itself is a modern, welcoming environment that tacitly informs guests that, while they may be in an old-world setting, they can expect treatments that are thoroughly up-to-the-minute. After being offered a healthy beverage by the spa concierge, Spa of the Rockies guests are invited to peruse the Zents aromatherapy table, where they can sample, mix and pair fragrances, in essence playing with a variety of scents. Vials are labeled, and guests are encouraged to sample as many as they would like and to jot down their preferences. Best of all, the Zents Scent Journey, as it is known, is a complimentary add-on to nearly every Spa of the Rockies treatment. After selection, spa therapists incorporate the guest's aromatherapy choices into the spa treatment. "Playing with these scents and creating a unique blend that resonates with each individual makes the Spa of the Rockies experience stand out," said Jean Paul Cadavid, the lead concierge at Spa of the Rockies. "Initially, guests are a little shy about experimenting, but then you see the kid in them come out and it becomes a fun and memorable part of their treatment, one they weren't expecting." Some guests, according to Cadavid, worry about making mistakes or creating a foul-smelling concoction. "Fortunately, all of the Zents scents are created to be soothingly mild, not overpowering, and are designed to coordinate beautifully with one another. It's impossible to make a mistake," Cadavid explained.